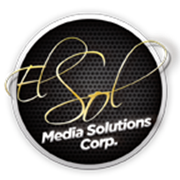 El Sol Media Solutions Corp.
El Sol Media Solutions Corp. has been the advertising newspaper source that more Florida businesses turn to when marketing their products and services. We host a complete suite of integrated media products that connects our advertisers to the targeted audiences they need to grow their business successfully and drive revenue. Merging our data and technologies provides engaging, interactive, progressive, and e-commerce driven opportunities for all our advertising partners. Advertising with El Sol Media Solutions Corp., is a proven strategy for reaching influential and affluent consumers in Florida.